We all know that Elves love to eat. What better way to ring in the holiday season than with a recipe blending two of their favorite foods, candy canes and cookies! To make it easy for tiny helping hands, the easiest way to make candy cane cookies is with pre-made cookie dough and red food dye. Divide the cookie dough into two, and add several drops of red dye, mixing in until the desired red color is achieved. You may want to add just a bit of flour to keep the dough from getting too sticky as it is worked. Here’s where even the smallest child can help: both colors of cookie dough need to be rolled into snakes. Kids can get really into this! Let them twist the two colors together. An adult can cut the ends for each cookie, while the child can form the cookies into the familiar candy cane shapes. Don’t let your Elf eat them until they’ve been cooked to manufacturer’s directions! 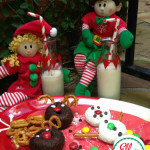 You can also use candy canes in a cookie recipe for a zippy cookie your Elf will love. Unwrap two or three candy canes and break them into pieces. Put the pieces into a food processor, or put them in a plastic ziplock bag and crush them lightly with a hammer. 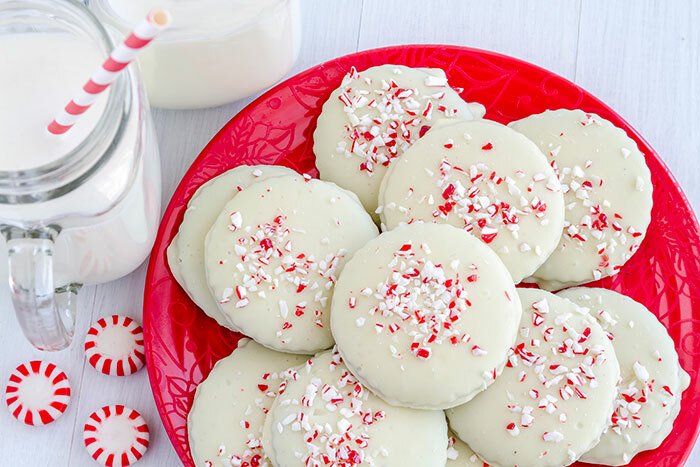 Using your favorite sugar cookie recipe, add the candy cane bits and bake as you normally would. Bigger kids will love using the hammer (under supervision) or watching the candy canes break up in the food processor. Having your child help in the kitchen will give them a sense of accomplishment like no other. 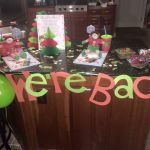 Making a special treat for their special Elf friend also makes memories to last a lifetime for both of you. 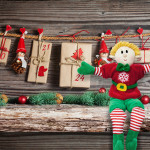 « What is Your Elf’s Job at the North Pole?